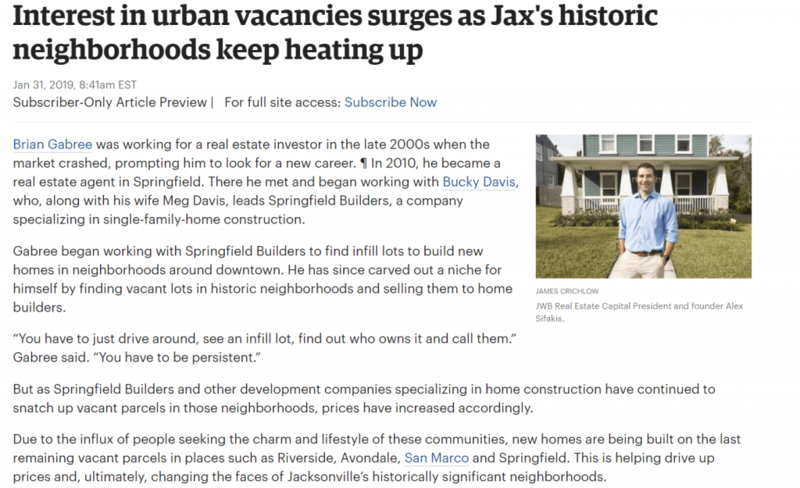 The Jacksonville Business Journal featured a great article about the growing value of Jacksonville’s historic neighborhoods. As interest in this market is continuing to increase, the cost of both properties and land is on the rise as well. Where other developers may turned away due to rising purchase costs, JWB jumped at the opportunity to grow, and began purchasing lots back in 2012. An example of this is JWB’s new 19-home community in Riverside, which is in the developing stages. 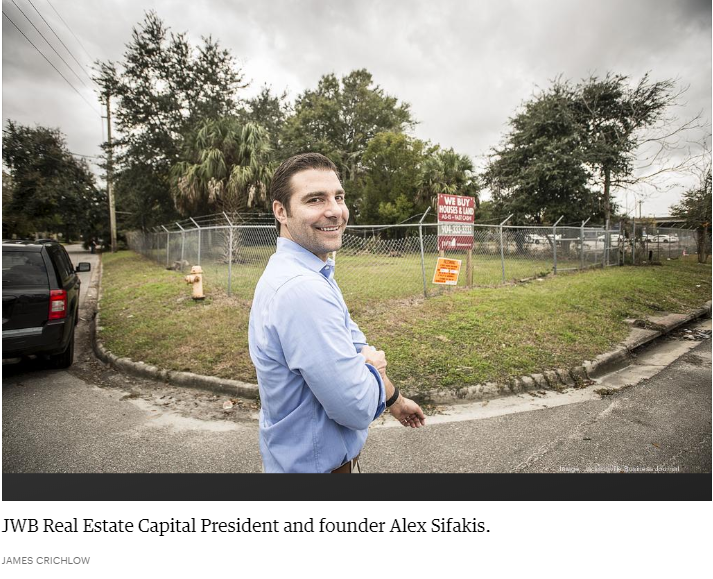 To view the entire article about Jacksonville’s growing historic district, and JWB’s future plans in this high-value market, click below.